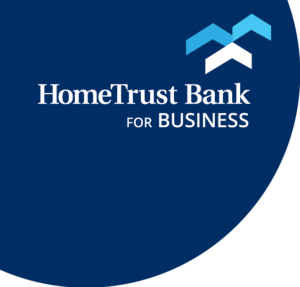 Complete the form below and a HomeTrust banker will contact you within one business day to answer any questions you may have, and to help you open a checking account. Choose the branch most convenient for you.ArdenAsheville - DowntownAsheville - EastAsheville - SouthCaryCharlotteCherryvilleClydeColumbusEdenForest CityHendersonvilleLexingtonReidsvilleShelbyTryonWaynesvilleWeavervilleWinston-SalemI'm not near any of these. Choose the branch most convenient for you.Pelham RoadWoodruff RoadI'm not near any of these. Choose the branch most convenient for you.Bristol - State StreetJefferson CityJohnson City - MainJohnson City - Med Tech ParkwayJohnson City - West WalnutKingsport - Broad StreetKingsport - East Stone DriveKnoxville - BeardenKnoxville - FarragutMorristown - MainMorristown - Merchants GreeneI'm not near any of these. Choose the branch most convenient for you.Bristol - State StreetDalevilleDanville - North DanvilleDanville - Riverside DriveMartinsvilleRoanoke - Brambleton AvenueRoanoke - CrossroadsRoanoke - DowntownRoanoke - StarkeyVintonI'm not near any of these. Not sure what location is nearest you? Click here to visit our Locations page and find a branch. This will open in a new tab, so you don't lose your place.